These trousers are cut full at the thigh and taper to the ankles. Buttoned straps under the instep keep the fabric from riding up. The fullness at the hip is evenly gathered to the front of the waistband. 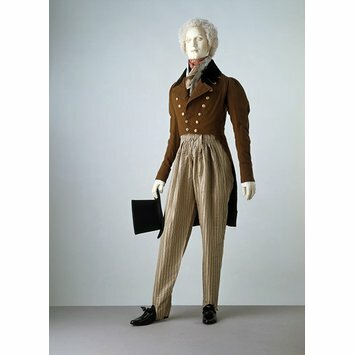 Cossack trousers were introduced to Britain in 1814 when Tsar Aleksandr I travelled to London from Russia for the peace celebrations that followed Napoleon Bonaparte's abdication in April of that year. 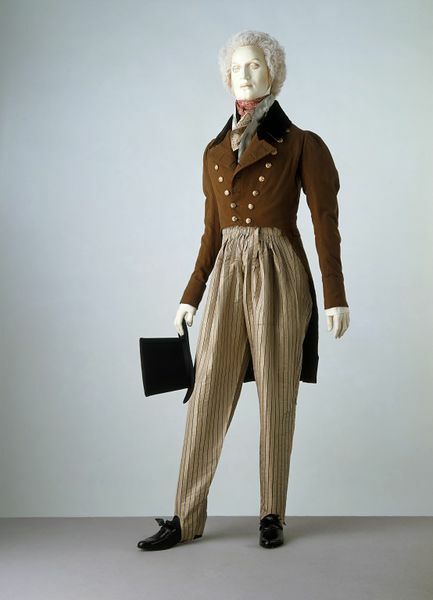 The Cossack soldiers in Aleksandr's entourage wore a similar style of trousers, which soon became fashionable in Europe.